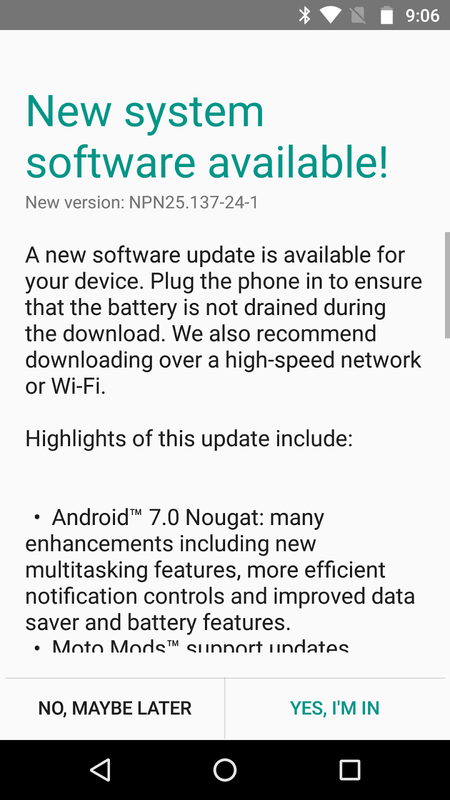 It had been a couple days since I'd been to my computer, so time to fire up my devices ... and sure enough, there's a notification on my Moto Z Play that a new update is available. Same as the update for the Moto Z, it's a sizeable 880MB, so it'll take some time to download and install. There wasn't any difference between the update for this over the update for the Z, so no surprises after the update. Now note that while my update started, it got to 95% and then stalled so I thought I could stop then restart it. Nope, it didn't restart, and now says I'm up to date. However, several other users are saying theirs went through fine.